See that tiny little hole? Violet season is upon us and I had gathered 2 cups of violets and infused them in 2 cups of hot water, then set aside this pint of dark blue infusion until I could make jelly. This morning I added 1/4 cup of lemon juice, half a package of powdered pectin, and 2.5 cups of sugar and made 6 4-ounce jars of violet jelly for my gift stash. That isn't the different part. 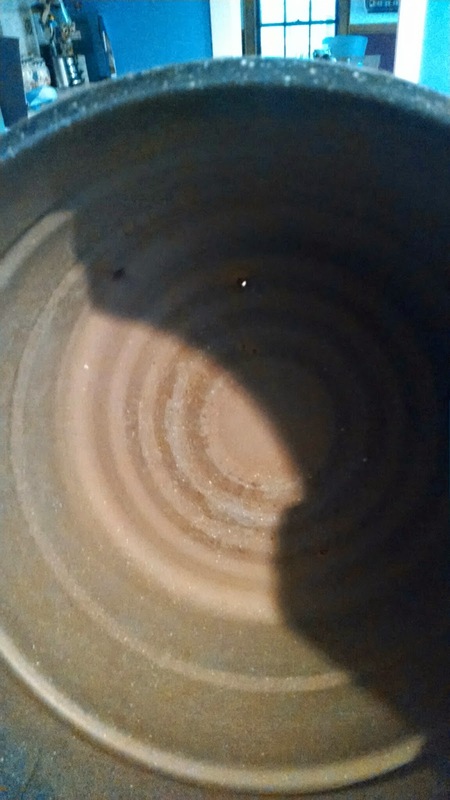 My canning pot has sprung a leak. Really. I have never worn out a pot before. That's just crazy!